Thinking of buying a new sofa or reupholstering an old one? Don’t overlook good, old-fashioned cotton. While cotton is typically considered for casual, washable slipcovers, it can also look quite formal and modern. The variations are truly endless, so here’s everything to know about cotton for upholstered furniture. Cotton has been around for thousands of years, but it really came into its own in the 1700s. That’s when the cotton gin was invented to separate the seeds from the fibers, and mass production became possible. As a result, cotton became much less expensive than other fabrics and the demand went way up. It’s never really lost its popularity: Cotton is still the number one cash crop in America. Although a single cotton fiber is kind of weak, multiple fibers that are twisted together create a smooth, strong thread that can then be woven into fabric. The best cotton has a long staple (this is a term that refers to the length of the fiber). Premium cotton, made from the longest fibers, can feel almost as smooth and lustrous as silk. Lesser grades, made from shorter fibers, may appear fuzzy and dull. Even more important than appearance, fabric made using shorter fibers is also less durable. Not all cotton wears the same way–you need to look at how it’s woven. A heavier fabric with densely woven threads, like denim or canvas, is more durable than a thinner fabric like muslin or percale (think bed sheets). Cotton velvet can be extremely durable if the backing is tightly woven. Cotton fabrics get their unique appearances from the way they’re woven. A canvas weave (can be called duck or sailcloth) is typically used for casual slipcovers, while a Damask or velvet can be more formal and elegant. Cotton is also a popular choice for printed fabrics. Once you sit on a piece of cotton upholstery, you’ll know one of the reasons for its popularity: It’s breathable. As a result, heat and moisture can be conducted away from your skin when you sit on it. This makes relaxing on a piece of cotton furniture super comfortable, especially if you are going to sit for a long time. Cotton fibers can soak up many times their weight in water before feeling damp. That’s why the fabric feels cool to the touch and dry, even in the summer. In addition to the durability that comes from long staple cotton and a heavy weave, cotton resists pilling and has good abrasion resistance, desirable characteristics in upholstery that will gets used all the time. Cotton is also easy to dye, which is why it comes in a rainbow of colors. Natural cotton has hypoallergenic properties, so it can be a good choice for those who are sensitive to chemicals or wool. 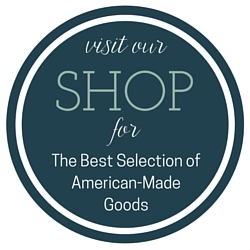 And if you’re looking for something that’s 100 percent natural, organic cotton may be just the ticket. Because cotton accepts dye so well, it can also stain easily or pick up color off a pair of new blue jeans. Cotton’s ability to absorb moisture also has a downside: Spills soak in quickly. But there is hope. 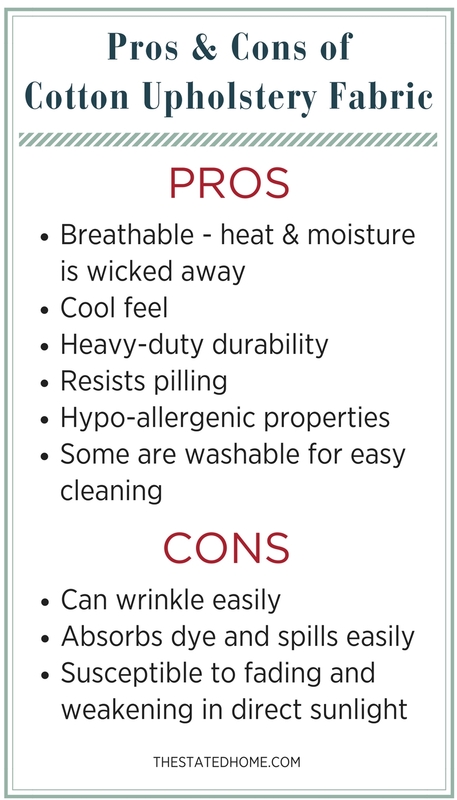 Cotton blends can reduce the absorption factor and fabric protection treatments will help fend off stains. 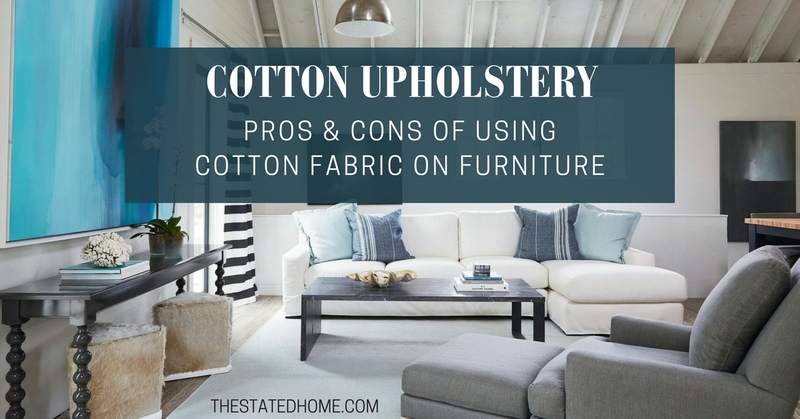 A bright, sunny room can be wonderful for a lot of reasons, but not for cotton upholstery. It is highly susceptible to fading with direct sun exposure, and the fabric may weaken over time. So it is best to keep 100 percent cotton away from that sunny window. Traditional cotton plantations around the world use a lot of pesticides and chemicals. Organic cotton, which is grown using natural fertilizers and without chemical pesticides, is definitely a move in the right direction. That said, organic cotton may still be subjected to chemical treatments during the bleaching or dyeing process. Choosing organic cotton in a natural color (like cream, tan, or light green) is often a safer bet if you want to avoid as many chemicals as possible. Much of today’s upholstery fabric is actually a blend of two or more different kinds of fibers. So if you blend cotton and linen, you get a strong fabric that does not crease as much as pure linen and is smoother to the touch, but still has much of linen’s characteristic crisp, cool feeling. In addition, because cotton can be bleached more easily than linen, a blend can be whiter than linen alone. Blending cotton with synthetic fibers can improve durability and stain-resistance. Cotton and polyester blends will give you the comfort of cotton, along with the wrinkle-resistance and greater durability of polyester. Even though cotton’s abrasion resistance is good, it is not as good as that of man-made fibers. If your sofa is going to get a lot of use, a cotton-polyester or -rayon blend may give it longer life. Also, if you’re looking for washable cotton slipcovers, check the care instructions before you buy. The addition of other fibers may require that the fabric be dry cleaned. Sectional Sofa Pieces: What Do They All Mean?